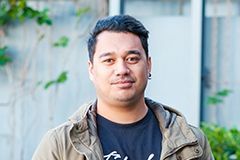 Choosing to study at AUT was an easy decision, says John Pelasio who completed a Bachelor of Communication Studies, followed by a Master of Arts in Māori Development. There were many highlights throughout John’s studies. “I appreciated AUT’s willingness to stay ahead of the mainstream industry, and the fact that AUT has always kept up-to-date with the technology side of things. Going from university into the workplace, every programme we used was the same or similar, and the process we learned at university was also applicable to the workplace environment. 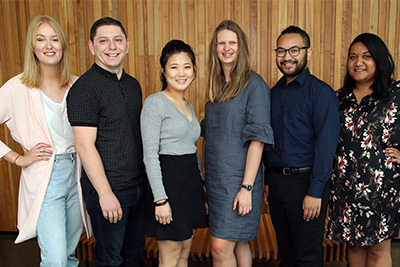 The broad nature of the communications degree is a sound foundation for many careers, says John who is now a graphic designer at integrated media company NZME. The creativity is what he enjoys most about his career, John says. Having graduated in 2016, John has some great advice for other students. He’ll never forget the wise words of one particular AUT academic, John says.